The Solid Mount allows the ability to swap between steering and non steering. 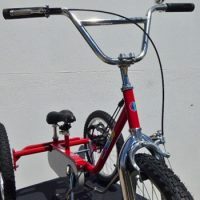 Extra bars are designed for those who can’t extend their arm or hold in a standard position for riding. 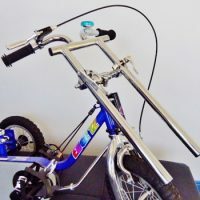 Can be fitted with on both sides of the handle bars if needed. 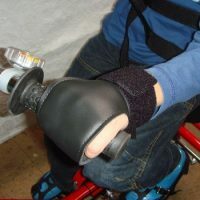 A Hand Support enables the hand to be secured onto the handlebar when extra restriction is required. Velcro straps allow easy fitting and adjustment. Four sizes are available. 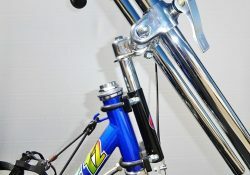 Adjustable Handlebars can be raised or lowered, positioned in towards the rider, or away from the rider using a quick release lever. 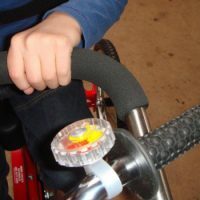 This easy movement makes it ideal for getting on and off the tricycle.